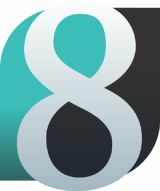 nanoCAD Plus 8 was available as a giveaway on June 23, 2017! nanoCAD Plus is a professional grade CAD tool. It has a familiar interface, powerful drafting and design tools, native DWG compatibility, and an open API. It is available through a low-cost annual subscription, including updates and priority online support. Equipped with Dynamic input, Tool palettes and refined user interface nanoCAD Plus version 8 provides new opportunities for comfortable professional work. Please note: the offer includes the 6 months license! How would you improve nanoCAD Plus 8? nanoCAD Pro is a more advanced version of nanoCAD Plus. nanoCAD Pro gives you Autodesk Inventor-style tool for 3D solid modeling with 2D constraints. 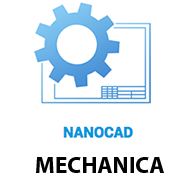 nanoCAD Mechanica is a 2D drafting and design application with a large library of standard parts and tools designed to help automate mechanical drawings creation. It is based on a parametric design engine. 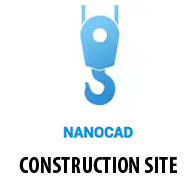 nanoCAD ConstructionSite is a solution for construction site design. It simplifies planning and managing of the construction process. 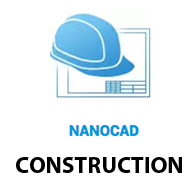 nanoCAD ConstructionSite is based on nanoCAD Construction. Downloaded fine, unable to register. Entered in name and email, but nothing happens!!! Really would have like to try this software out. 4. Select the second key to receive the key and press OK. It says the link is good for 7 days? Why is this so confusing?! Can't get the license for some time? It gives this error when I try and activate the link: [Exception] Unhandled exception: Cant get SN by ProductID: 20 (-1) /disk/www/www.nanocad.com/bitrix/php_interface/include/nanoWS/Transport/nanoWS_Transport_xmlrpc.php:97 It says the link is good for 7 days? Why is this so confusing?! Free registration url does not work!!!! Nanocad free giveaway registration page fails with error. Only registration email but no license keys registered for the email entered. Free registration url does not work!!!! Nanocad free giveaway registration page fails with error. Only registration email but no license keys registered for the email entered. Serial number is not generating after giving email. It is showing some error. Serial number is not generating after giving email. It is showing some error. [Exception] Unhandled exception: Cant get SN by ProductID: 20 (-1) /disk/www/www.nanocad.com/bitrix/php_interface/include/nanoWS/Transport/nanoWS_Transport_xmlrpc.php:97 #0: nanoWS_Transport_xmlrpc->sendRequest(array) etc.etc. Received the email however the activation do not work . Unhandled exception: Cant get SN by ProductID: 20 (-1)" followed by a screen of exceptions. Tried twice. My only answer to confirming my email address is: "[Exception] Unhandled exception: Cant get SN by ProductID: 20 (-1)" followed by a screen of exceptions. What can I do to receive my product ID? Thanks for any assistance you may provide. Tried 10 time to install to no avail. Missing or Corrupted filed message kept appearing. Your site states "The program is available for $90, but it will be free for our visitors as a time-limited offer." The nanoCAD site states that the Plus (2D only) version is $180 per year for a single workstation license. nanoCAD Pro (with both 2D and 3D capability is $290 per year for a single workstation license. Your site states "The program is available for $90, but it will be free for our visitors as a time-limited offer." The nanoCAD site states that the Plus (2D only) version is $180 per year for a single workstation license. 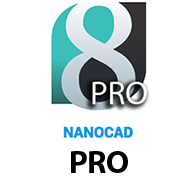 nanoCAD Pro (with both 2D and 3D capability is $290 per year for a single workstation license. Don't see it mentioned in the description but this is only a 6 month license. Glen Criddle, Yes, it is mentioned in the above description and in the RSS or eMail you received. "Please note: the offer includes the 6 months license!" Glen Criddle, from the last line of the description all day.... "<b>Please note: the offer includes the 6 months license!</b>"
Glen Criddle, it's the bold line at the bottom of the description. Registered using two different email addresses but haven't received emails with license code from either. Very poor! theinterceptor, I think you should try again. Haven't received the email with the license code. have been waiting for several hours. Many years ago I used Autocad to draw sketches but at this time I have no need for a program like this one. However nanoCAD looks really good. This weekend I will try to draw some sketches just to see how it works. I hope it is as good as AutoCAD. 1) Is this a Web-based product? 2) What happens after the license expires? No updates, read-only functionality, or no functionality? Two questions: 1) Is this a Web-based product? 2) What happens after the license expires? No updates, read-only functionality, or no functionality? Rufus V. Smith, A 425MB download better NOT be web-based. Rufus V. Smith, in answer to question 1... @ 434MByte download size it had better be a desktop application... and it is. No setup.gcd so no security software hoops to jump through with todays giveaway! Rufus V. Smith, Take a look at the size of the download: more than 400 MB. That directly answers your first question. In general, after the licence expires, you are left with the functionality of a trial: opening of saved files, new saves are either not possible or have show a stamp of some sort. Rufus V. Smith, Take a look at the size of the download: more than 400 MB. That directly answers your first question. 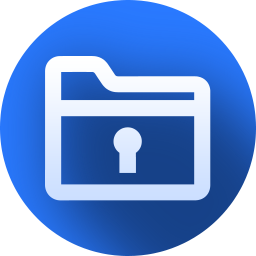 In general, after the licence expires, you are left with the functionality of a trial: opening of saved files, new saves are either not possible or have show a stamp of some sort. Download & installed with no problems on an HP-Z1 PC with 32GB RAM and Win7 Pro. I also use, and have installed, AutoCAD, PLS-CADD and Microstation so will see how this app works with them.